Coating Thickness Gauge For Electroplating and Electroless Coating - Fischer Measurement Technologies India Pvt. Ltd. Coating thickness gauge for electroplating and electroless coatings XDL is an X-ray fluorescence measuring instrument for manual or automated coating thickness measurements on protective and decorative coatings. 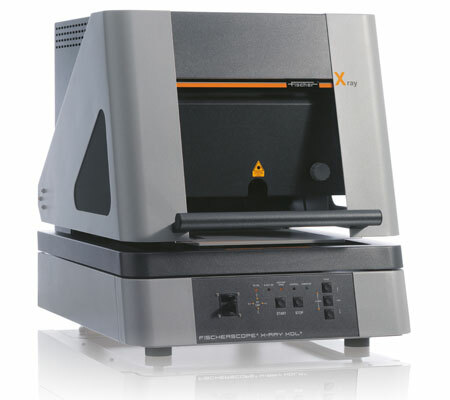 These are extensively acknowledged as a universally applicable energy dispersive X-ray measuring instruments which are widely used for non-destructive thickness measurements and analysis of thin coatings, for measurements on mass-produced parts and printed circuit boards as well as for the solution analysis. These are engineered under the firm direction of experienced quality controllers and following international industrial standard. determine thin coatings and for the solution analysis.